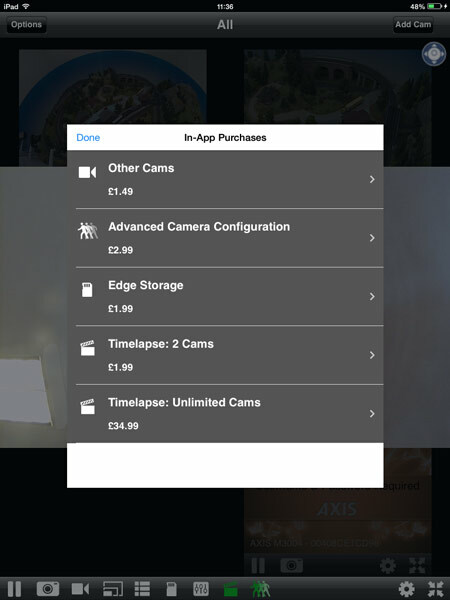 An update for our leading App Viewer for AXIS Cams went live on the App Store on Saturday 8th June. The new version features App Injection for AXIS Video Motion Detection ACAP. AXIS VMD can be installed on AXIS Cameras that support ACAP. VMD makes it possible to detect motion and automatically make a recording. The mobile app injects VMD into the camera in a seamless way saving time-consuming installation via the web and installing Active X on Internet Explorer. 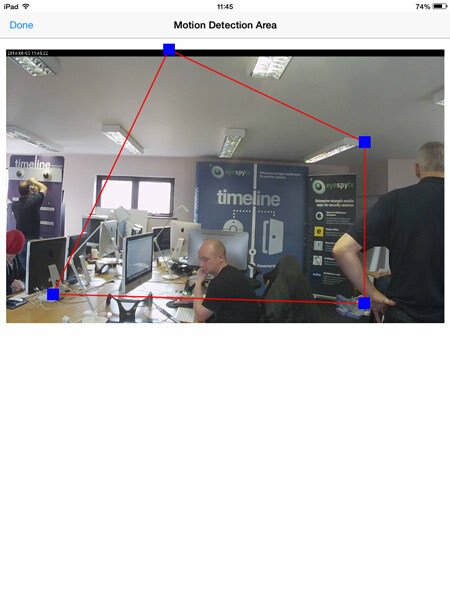 The motion detection area can be set up on the app by positioning a polygon over the area where movement is to be detected. The app also features Timelapse ACAP also set up via App Injection. Edge storage is also available as an in app purchase. Edge storage can take the form of an SD card mounted in the camera or a NAS box or a USB memory stick mounted on the router. These new features make Viewer for AXIS Cams is the most sophisticated app for AXIS cams available on the market today. This entry was posted in iPhone/iPad, Security, Viewer for AXIS Cams by admin. Bookmark the permalink.